If you visit Curtis Park try coming up Franklin and entering on Montgomery way. When you are on Franklin you are still in the high speed bustle of urban life. As you turn into Montgomery Way you immediately see the street has kinks and is a little too small. The kinks are a ghost of the giant oak that lived here for generates. After only a few paces in the city drops away and you are engulfed in the magic of the place. 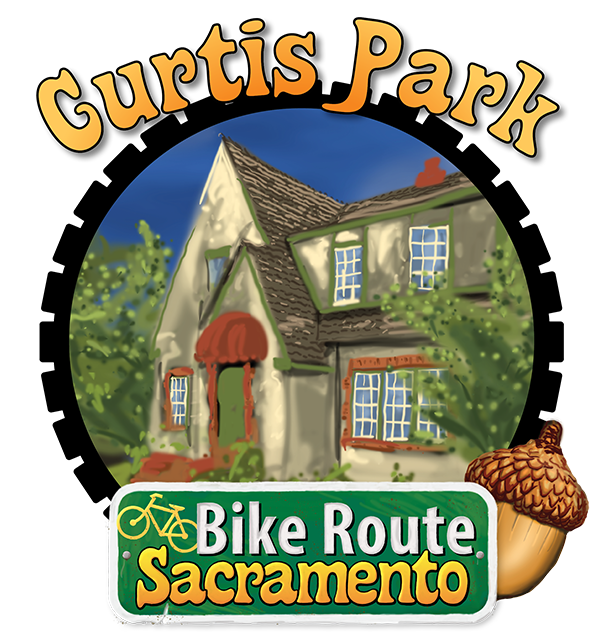 When we first moved to Sacramento we fell in love with Curtis Park. Things are smaller and feel like they were designed for people and not for cars. The central park provides and anchor and place for neighbors to come out and play. Unfortunately for us there were very few houses for sale and those were too small for our growing family. But our friend had a house on Portola Way for several years and we would sit there in comfy chairs and talk to the neighbors strolling down the street. We still enjoy going to the park and walking the neighborhood streets. There is a converted firehouse home that looks amazing. We have even braved the chaos and come here on Halloween when it seems that every house has turned on the decorations.